I hope you had a wonderful long weekend with friends and family so far. 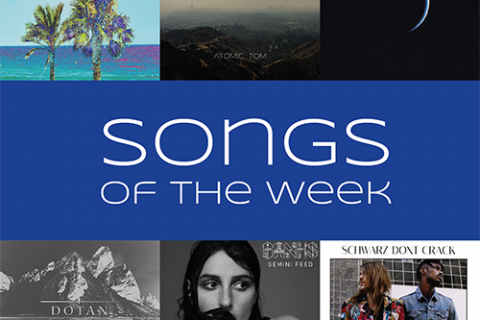 And to make your Easter even better, I decided to post the Songs of the Week a day early, so that you can enjoy them during the rest of the long weekend. 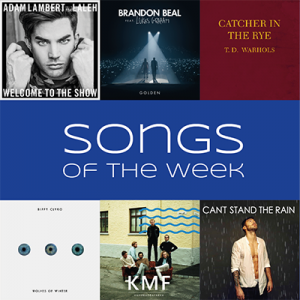 This week’s songs are a mixed bag of new releases and some songs which have been out for some weeks already. It’s Easter – hunt for the oldest one. Now, to say it with the title of the first song: Welcome to the show. You might remember Adam Labert’s last hit single Ghost Town which has been pretty amazing and now he’s back with his new single Welcome To The Show which is featuring Laleh. It’s a catchy pop tune with a great beat and great vocals by both singers. The second track is called Golden and is a cooperation of American R&B artist Brandon Beal and the Danish band Lukas Graham, who are doing very well with their single 7 Years at the moment. Golden is a a typical pop-rap single and fun to listen to. From pop to psych-pop/rock. The Dandy Warhols have previewed another song from their upcoming album Distortland called Catcher In The Rye which is inspired by J.D. Salinger’s book of the same name. It’s a relaxing song, perfect for a Sunday afternoon on the sofa. But don’t get to relaxed, the next one will wake you up again. It’s the exciting new single Wolves of Winter by Biffy Clyro. Yes, the Scottish rock band is back and their 7th studio album Ellipsis will be released in July. The perfect song for the week everyone is talking about Batman vs. Superman is Superwoman by Kakkmaddafakka to get women back into the game as well. The Norwegian indie rock band have released their album KMF a month ago and this song is my favourite off it, so I thought it’s a great idea to share it with you as well. The last song is another catchy one. It is by British singer Jake Quickenden and is called Can’t Stand The Rain. The somehow sad but also upbeat pop song is his best song yet and will be on his new album New Chapter that will be out next Friday. 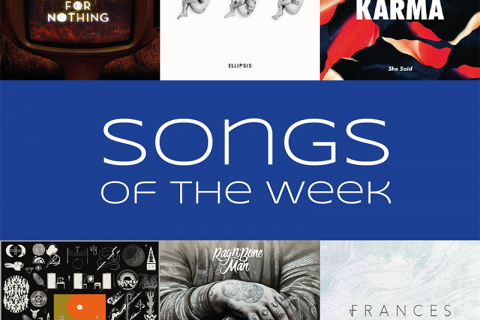 So here we go, some new songs for your long weekend playlist. Which one’s your favourite? Let me know in the comments. And as I said above, there’s even more usic to listen to on my Songs of 2016 (Spotify // Apple Music) or my Currently Listening list (Spotify // Apple Music). One last thing, I won’t be posting anything the upcoming week, as I’ve got lots of work to do, but I will be back with a brand new playlist next Monday. Enjoy the rest of your Easter weekend and have a wonderful week.